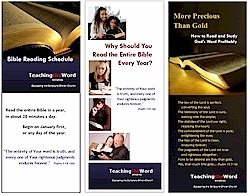 According to reliable surveys, only 15% of Bible-believing Christians regularly read the Book they claim to believe. 35% never read it outside of church. 50% only read God's Word occasionally. Where do you fit in this picture? We encourage everyone to make a commitment to read the entire Word of God each year. And each year, we hear from folks who tell us what a blessing it's been to read God's Word, completely and systematically. Click here to request your FREE personal copy (limit one per person, please). Click here to order a supply for your church or personal use, at a nominal cost. 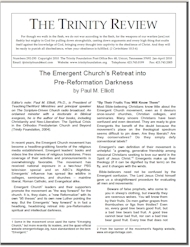 Is the Emergent Church movement the "way forward" for the church -- or is it a headlong, headstrong retreat into pre-Reformation spiritual darkness? 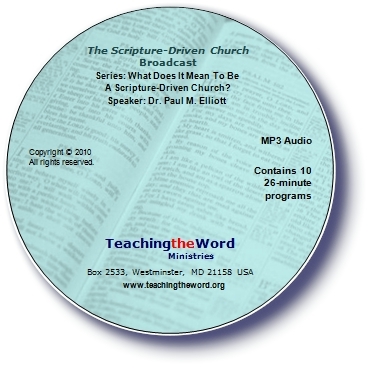 What does God's Word say about it? Click here to request your free copy of this special report by mail. 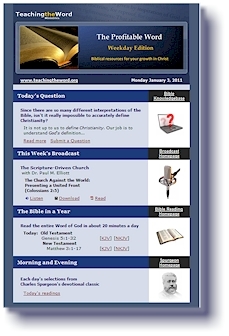 Click here to view a three-part study series online, or to download it for printing.